Tomorrow’s supplementary elections in six states of the country is a showdown with immense potential for some of the country’s political stakeholders. It is, especially in Kano. It was as such not surprising that even though the election is not holding in the Southwest geopolitical region that the national leader of the All Progressives Congress, APC, Asiwaju Bola Ahmed Tinubu was being mentioned as having relocated to Kano for the election. Tinubu has since denied the claim. However, the speculation underlined the importance to which 2023 political gladiators hold the supplementary elections in Kano. The party which holds Kano would be in a serious position to project itself in 2023. Even more, the persons who help the party to win the state would also be better positioned to corner the state’s electoral votes ahead of the 2023 presidential contest. The repeated mention of Tinubu’s name despite his denial of playing a role in the Kano election flows from the fact that should the APC zone the 2023 presidency to the South that the state with its estimated two million votes would be a fertile choice for anyone to choose a running mate. Even more, no one has discounted the prospects of Senator Rabiu Kwankwanso making another presidential bid and getting his son-in-law as governor would give him a formidable platform to launch his bid. If not, Kano in his hands would also be a formidable platform for him to negotiate for the vice-presidency if the PDP zones the presidency to the south. Just as Governor Willie Obiano did everything to damage Atiku Abubakar’s presidential bid in Anambra State because of his quarrel with former Governor Peter Obi, Ganduje and other APC stakeholders across the country are determined to ensure that Kwankwanso is denied that opportunity. Whether as a presidential candidate or as a vice-presidential candidate, Senator Kwankwanso’s political rivals across the country are determined to ensure that he is denied the opportunity of springing back to political acclaim through his bid to plant his protegee in office. 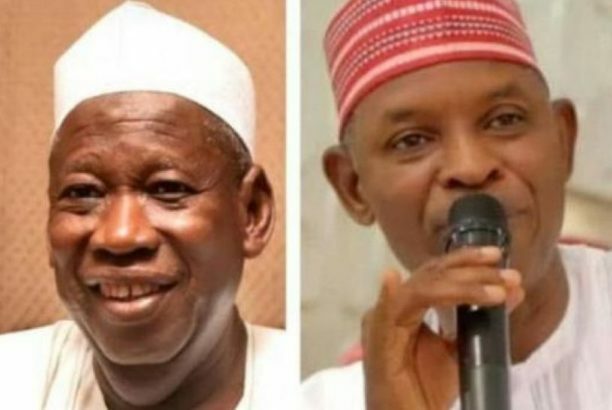 The contest in Kano is, however, a straight fight between the incumbent governor, Dr. Umar Ganduje of the APC and Abba Kabir-Yusuf, the candidate of the Peoples Democratic Party, PDP. Damaged by videotapes of him in allegedly compromised dollar deals, Ganduje was unable to swing on the tails of the victory two weeks earlier of President Muhammadu Buhari. At the end of the election on March 9, the PDP candidate, Kabir-Yusuf was in the lead with 1,014,474 votes compared to the 987,819 votes polled by Ganduje out of the 2,155,128 total votes cast. Forty-nine thousand seven hundred sixty-one were rejected as invalids. Based on the fact that the difference between the two leading candidates was less than the 49,761 cancelled votes, the election was declared inconclusive setting the stage for tomorrow’s supplementary polls. Ahead of the runoff election in the state, the two leading candidates have made pitched battles to win the love of voters in the areas where the election would hold. Ganduje has mainly been in the eye of social media and stakeholders over what is alleged to be his concentration of government projects of recent in Nasarawa Local Government Area. The Local Government Area where his deputy was allegedly arrested has the majority of the voters for the supplementary election. Last Sunday that was ordinarily a holiday, the government flagged off road construction in Gama, a section of Nasarawa Local Government Area and many other projects have also been flagged off in the Local Government Area and the other areas affected by the supplementary election. The state government has also awarded a multimillion-naira contract for the renovation and upgrade of Isa Kaita Primary Healthcare center in Rimin A’i, Nassarawa local government area of the state, to a Comprehensive Health center. The governor who inspected the project was quoted as saying that the project was in line with his administration’s determination to lift the health standard of the people of the state. “In the past four years, we have made visible efforts to improve access to health care services through initiating programs such as Free Maternal & Child Health Care Services, Free Accident & Emergency Care, Free eye care program, among others,” the governor was quoted as saying in a press statement issued by last Tuesday, by the Director General, Media and Publicity, to the governor, Ameen K. Yassar. In the statement, the governor was quoted as urging the populace to exercise patience over the inconvenience to be caused by the rehabilitation works as he promised that the rehabilitation would be completed within weeks. The government was also recently enmeshed in controversy when it was revealed that the government had approved millions of naira to projects directed at Local Government Areas where the election is holding. Kabir-Yusuf, the PDP candidate who is in the lead ahead of the rerun acting gubernatorial, yesterday, in a series of tweets also promised what he would do for the citizenry if elected. “Hospitals and other healthcare centers will go through renovations/modernization, and I will declare a free Pre and post-natal health care services all across the state if elected. With both candidates pitching for votes, the larger political community is looking anxiously at what will happen in Kano tomorrow. Expectedly, security has been beefed up in the state for the election holding in 28 Local Government Area across the state. Three State Resident Electoral Commissioners, RECs have been summoned to join their Kano colleague in adjudicating this political battle.